Knowledge workers are people who make their living primarily by thinking. They include software programmers, scientists, academics, physicians, lawyers, engineers, managers, architects, designers, accountants and various other white-collar professions. 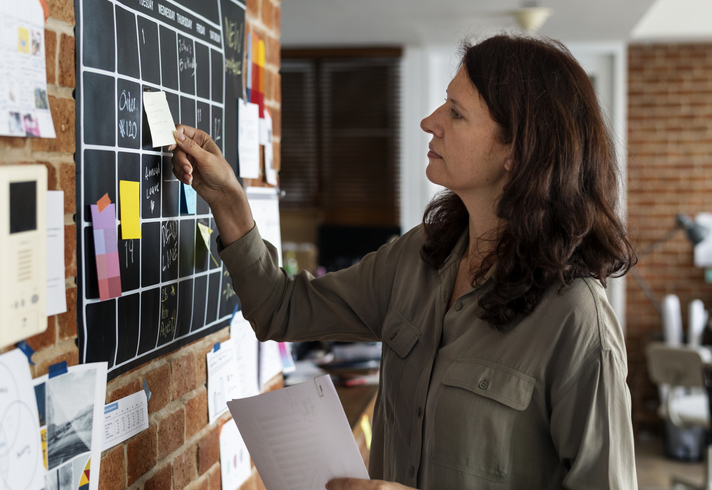 In lean management, direct observation of processes is the go-to method for learning about the current situation and gaining insight on how to improve it. There are challenges to direct observation of knowledge work. Knowledge work is non-routine. The methods and inputs are highly variable. The same work may be done in very different ways between two knowledge workers. An individual may do their work in different ways each day. These things are true to lesser degrees in all work. Knowledge workers can do their work in a variety of environments, such as the office, home, cafes, hotel rooms etc. unlike farmers, warehouse workers, or servers at a restaurant. These alternate work places offer opportunities for their workflow to be interrupted. They may be away from resources they need in order to do their work. Knowledge work can spend as much as a third of their time searching for information that they need to do their work, and may even think this is normal. Who is the customer of this process? What do they expect? What is the “normal” or “good” condition of this process? What looks out of place, wrong or does not meeting our expectation? What is the flow of information through the processes? Where are the handoff points where information losses or delays may occur? Where are knowledge workers being asked to do simple, routine or transactional work that distracts from adding value? What parts or areas of this process demands a deeper look? Direct observation of knowledge work needs to be structured in order to be effective. We need to ask questions and listen to answers. We need to learn about the purpose and content of the work. Due to the nature of knowledge work, direct observation needs to be highly participatory, rather than passive. The knowledge worker must be involved, which is to say, interrupted. This may take more effort, but there are methods for building direct observation into how we do the work, rather than as a distraction from it. The pairing of developers in extreme programming is one example. There is also the practice of daily or inter-day huddles at kanban boards, obeya or other work visualization methods. The knowledge worker is smart enough to find the answer to the question “How can we direct observe observe my work?” while minimizing disruptions. Knowledge workers enjoy significant independence in how they perform their work. They should take an equally high interest in continuous learning, improvement, and innovation of their work. Not bad, the checklist may be of some use. The challenge is nigh unsolvable because thinking as you say is invisible, and the checklist does not make cognition visible. But it does offer some other tools to observe and improve the work process and flow, hand-offs and transitions are always good. But your title doesn’t claim to measure knowledge work, just observe it. Another degree of difficulty is that different people will arrive at different Knowledge answers, with some being better than others. Putting a widget together on a factory floor tends to have one correct result and it is measurable. Cognitive work unfortunately has many possible outcomes.